I bought the blankets to keep in my airplane for survival purposes. I'll let you know how I like them if I ever need to use them. Picnic Time Picnic Blanket, 60" x 50"
I give it a five because it is a great blanket. 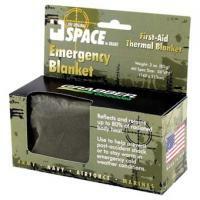 The Coleman emergency blanket is in our first aid kit for our car. We hope it will never have to be used, but it is nice to have something so handy and made so well.